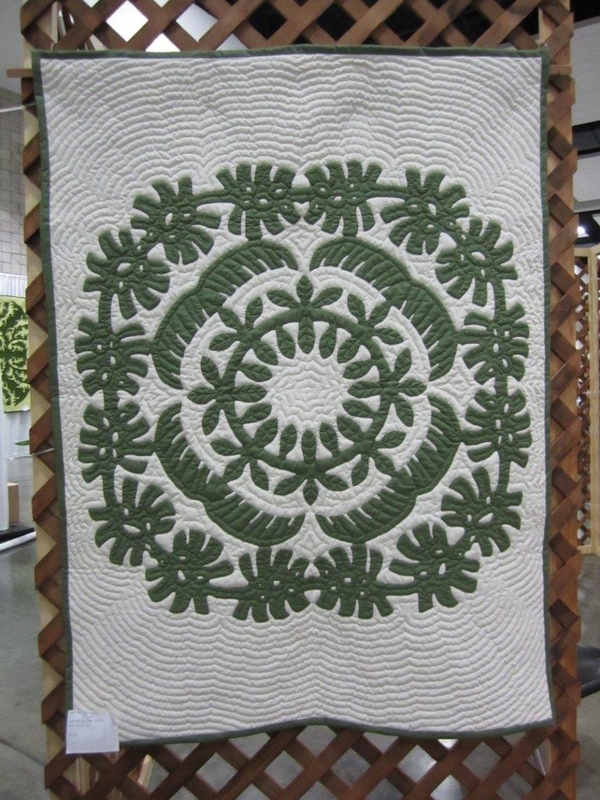 January 2015 - Hawaiian Quilting With Poakalani & Co.
Quilts in progress and some of the awesome ladies. 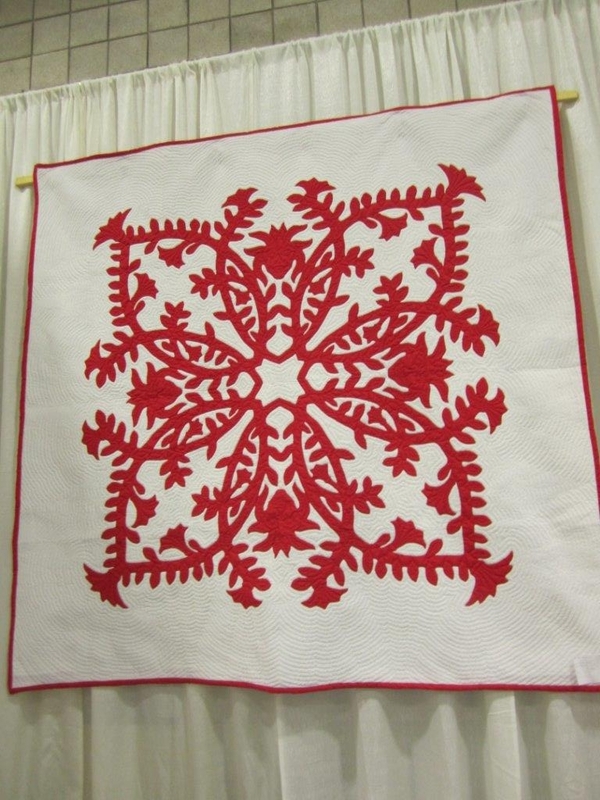 Using a plain backing showcases the tiny quilting stitches and its amazing design. 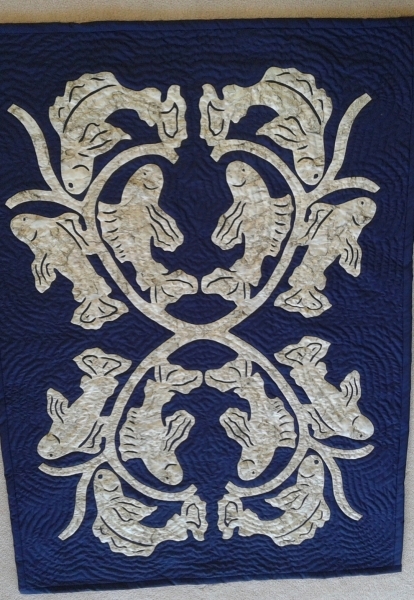 The Hawaiian Helmets of Old and Tabu Stick are shown in this quilt to symbolize traditional Hawaii, while the whales and fire and the center of the quilt symbolize a changing world coming to the Hawaiian people. 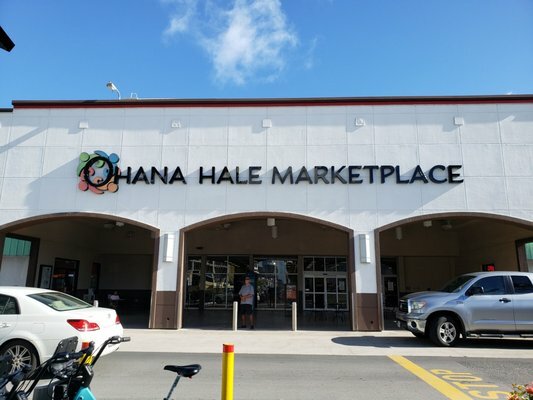 Whaling season was at it’s peak during the reign of Kamehameha II. 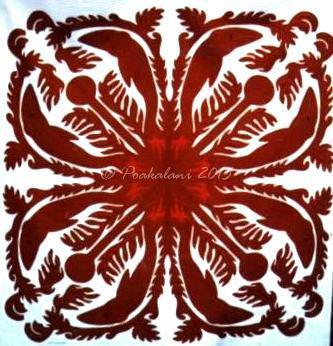 22" x 22" Quilt Designs, Design First Comments Off on Plant a Ulu(Breadfruit) tree. 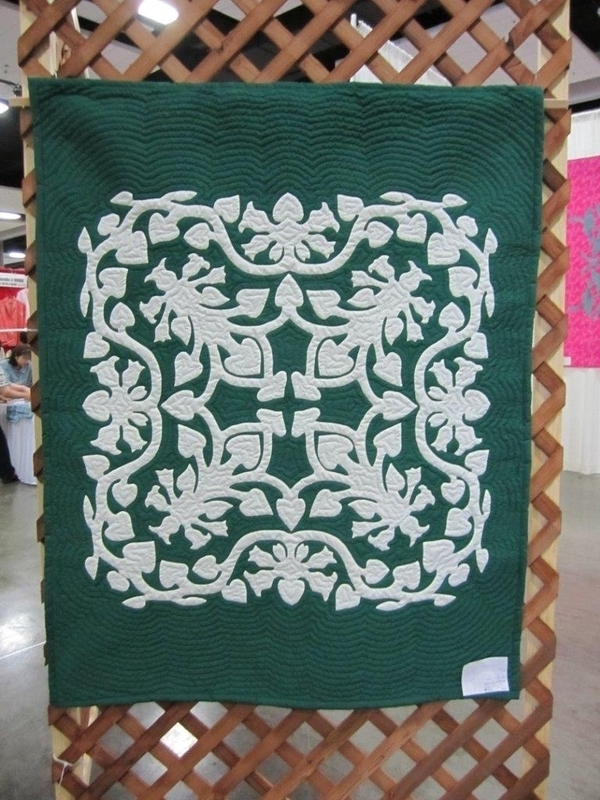 To Everything There Is A Season especially those closet quilts that have sat for years waiting to be dusted off , re-introduced and completed. 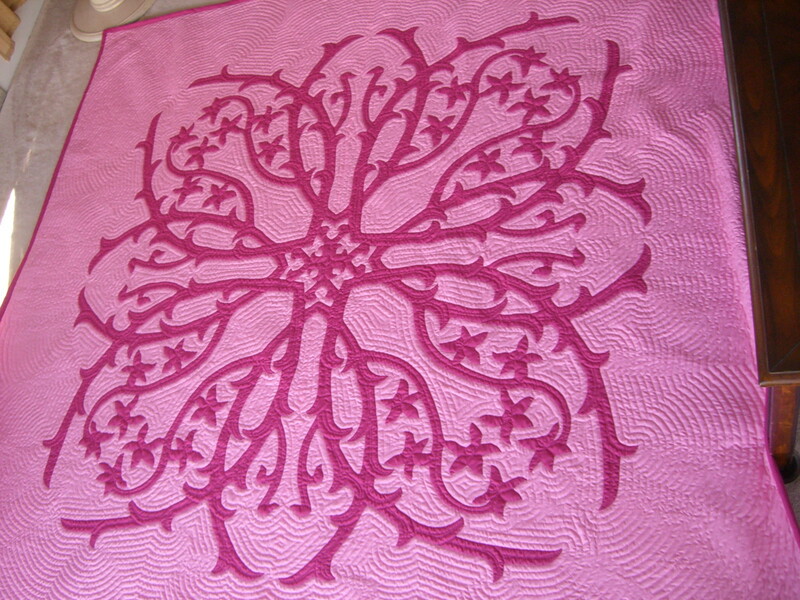 Today Doris surprised me by showing up at class with her Hibiscus quilt completely appliqued and ready for quilting. After 15 years in the closet this hibiscus quilt will finally begin its finally journey. 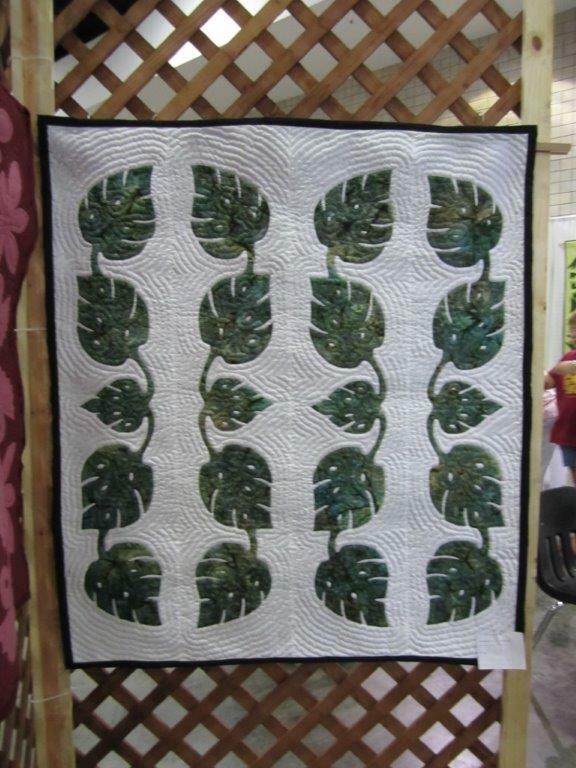 Congratulations Doris for giving this quilt its season of completion. What a beautiful design. 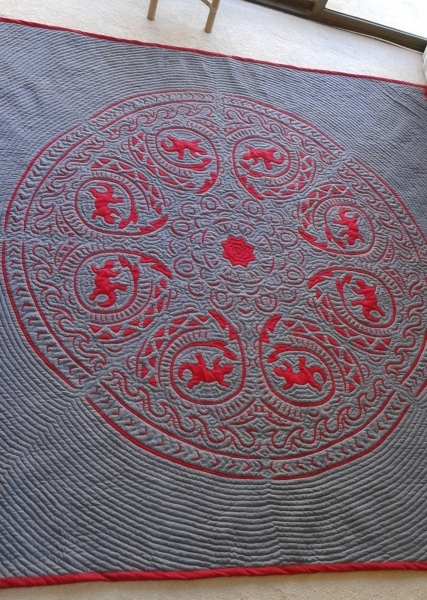 90 x 90 Designed by John Serrao. 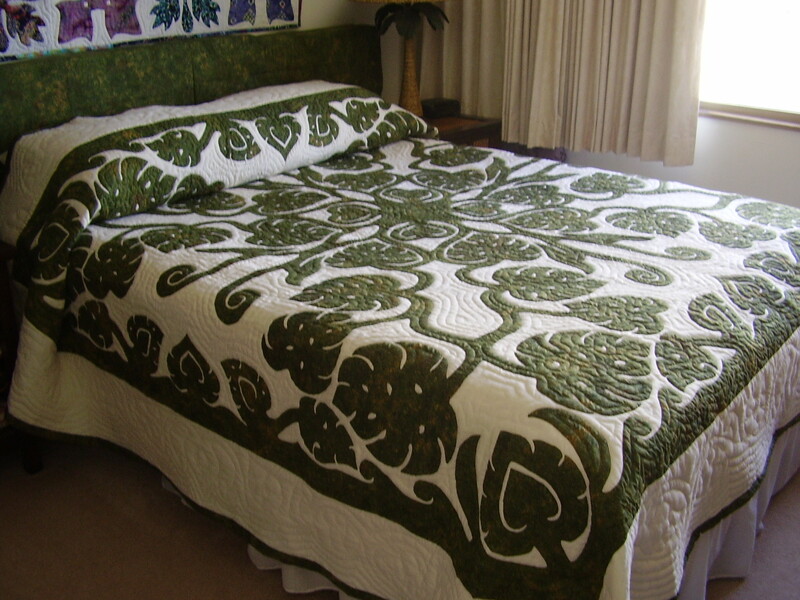 I have always loved this quilt because of its double ring hibiscus design. 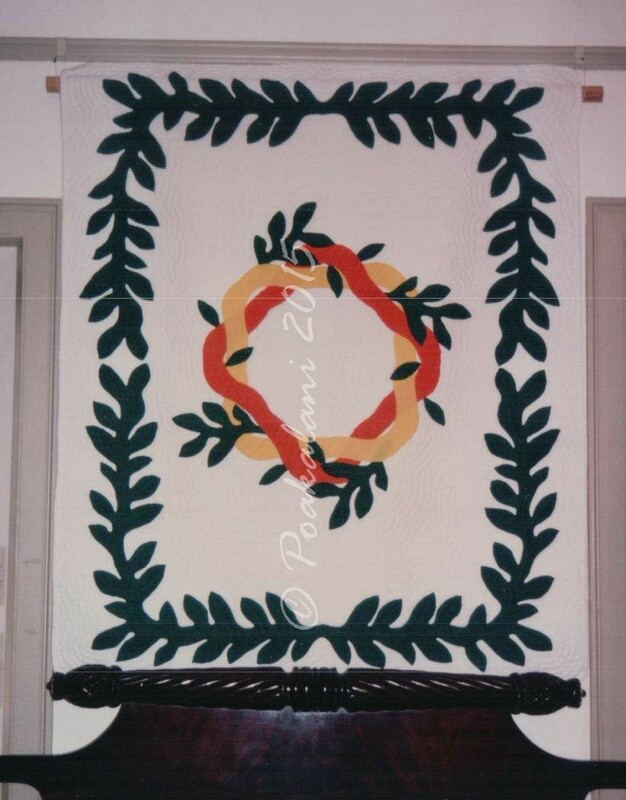 I remember helping Doris lay out the quilt when we taught at the Queen Emma Summer Palace. 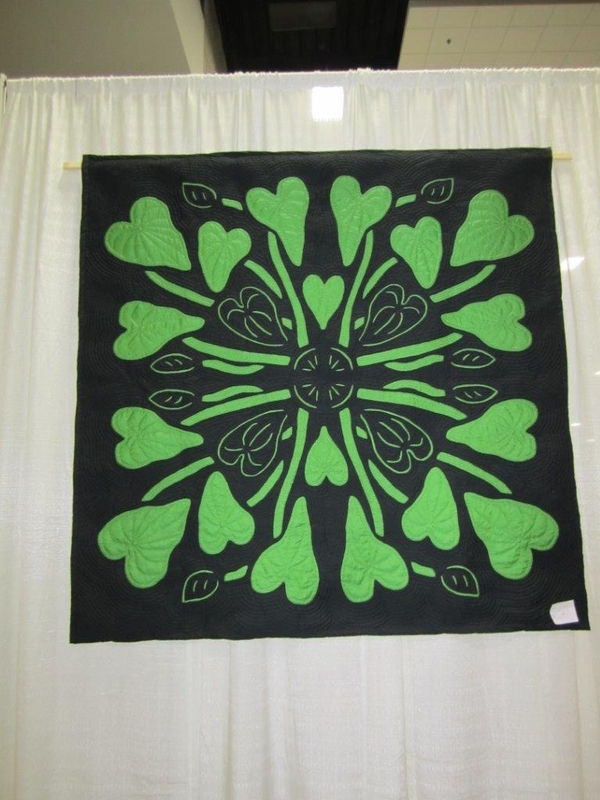 I would constantly ask Doris how her Hibiscus quilt was but she was always working on other quilting projects. 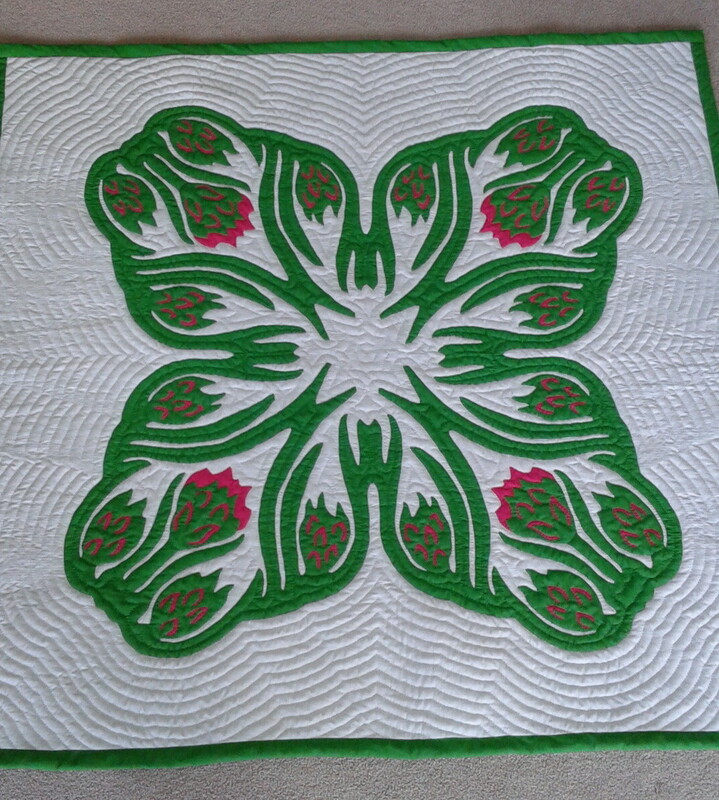 Today her Hibiscus quilt is ready for quilting but as much as I love the this quilt I found something better, a close and amazing friend in Doris. Expand your creativity in design by creating the unusual like the sun, moon and stars instead of your normal flowers and trees. Take that step and dare yourself to be different. 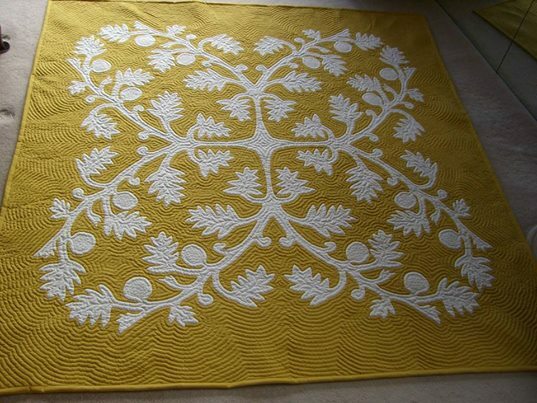 Happy New Year to Our Quilting Family.